I want to allow the user to upload the files in my iOS application just like the way we upload a particular file in desktop applications with browsing through the different directories. I did some googling too, but did not find the reliable solution. The whole file system is not available, if you're running a non-jailbroken phone. Neither are there filesystem browser controls (for the same reason), However, you can browse the user's photo library, or even take a photo with the camera using UIImagePickerController. From these links and from other sources, I am only confused that can i provide the file browse option to user on button tap. And if yes, then how it can be achieved? Any help will be appreciated. iPhone apps are sandboxed. This means that you can only access files/folders inside your AppBundle (like Documents, Cache and the like). That is what the above mentioned URLs are suggesting. You can only upload/download data from/to these folders. Now if you have a jailbroken phone, its a different scenario. Not going into that. There is no standard control for this purpose, but using the methods mentioned in the posts you referenced, populating a table view is perfectly doable. Keep in mind that this will allow you to view the files in your application's sandbox. You cannot access files of other applications. Alternatively, you can use open source libraries like the ios_file_browser or the iOS-File-Browser. These provide user interface and you can check out the implementation as well. I'm an author of FileExplorer control which is a file browser for iOS. It allows you to browse files and directories that are placed inside your sandbox in a user-friendly way. 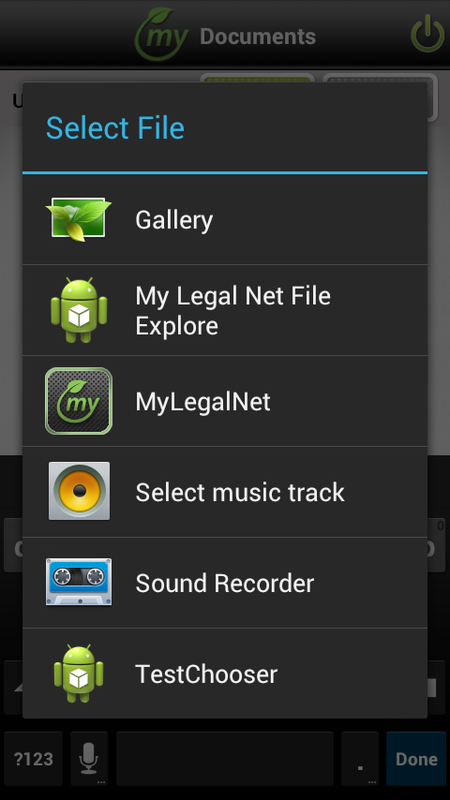 View Audio, Video, Image and PDF files. Possibility to add support for any file type. You can find my control here. Not the answer you're looking for? Browse other questions tagged iphone ios objective-c ipad or ask your own question. How to list all folders and their subdirectories/files in iPhone SDK? XCode - How to display a message box that allows user to key in values? What are the methods/classes I need to create an iPhone upload photo form?